"This season is all I have left to give," writes Bryant on The Players Tribune in a letter he opens directly to the sport itself with the words, "Dear Basketball." Bryant is in his 20th season, all with the Lakers since a draft-day trade in 1996 that sent Vlade Divac to the Charlotte Hornets in return for a 17-year old kid taken with the 13th overall pick. Bryant won five NBA titles. He was still playing at an elite level until April 2013 when he tore an Achilles' tendon. Knee and shoulder injuries have limited Bryant the last two seasons. It is the thing he has pushed away as if it were an annoying defender; a subject that until very recently induced one of his dramatic eye rolls. As injuries ended each of his last three seasons and his 20th year was being dominated by serious concerns over his shot selection and minutes. By Sunday, there was no more hiding a truth that had been confirmed night after night by a steady stream of off-the-mark 3-pointers and mounting frustration. Kobe Bryant will retire following this season. The announcement came in the form of a letter, a poem, posted to The Players’ Tribune hours before the Lakers (2-14) suffered a 107-103 loss to the Indiana Pacers at Staples Center. Bryant had long said he expected this to be his final season, but said only recently did he get over the final hump of knowing that he did not want to endure the mental and physical rigors of the game for another year. Kobe Bryant delighted in putting himself through as much pain as possible. Whatever it took to make him stronger. He once got water-boarded just to see how it felt. He delighted in giving team employees the "Saw" horror movies, grinning while saying he could survive any of the grisly do-or-die propositions in them. Ask anyone on the Lakers about Bryant. Pain tolerance ranks high on his most notable skill list. He finally yielded to it Sunday, announcing his retirement after this season — 55,785 NBA minutes after it began as a 17-year-old whose last amateur game came against Erie (Pa.) Cathedral Prep. "My body knows it's time to say goodbye," Bryant said on The Players' Tribune website, to which he was an early investor and is an occasional contributor. The man once became fixated on nothing more than winning NBA championships. He woke up everyday wanting nothing more than to play on the hardwood. His happiness depended on victories and defeats. But Kobe Bryant decided this past summer he would retire following the 2015-16 season for one simple reason. The news left Lakers coach Byron Scott feeling “sad” as Kobe Bryant informed him at some point on Saturday night that he planned to retire following the 2015-16 NBA season. But even if Scott nursed those feelings leading into Sunday’s game against the Indiana Pacers at Staples Center, Scott noticed that Bryant appeared “at peace” with his decision. Bryant formally announced his plans in an article for The Players’ Tribune website that was published Sunday afternoon. The greatest closer I’ve ever witnessed – basketball or otherwise – finally figured out Sunday how best to provide the ultimate finish. Kobe Bryant officially proclaimed that this will be his farewell season, an announcement not at all unexpected yet still somehow hard to hear. And with one simple nod to the obvious, Bryant did what he once used to routinely do better than anyone in all of sports: He commanded the deciding moment. In an instant, what had become a condemnation now turns into a celebration, one Bryant might not necessarily want but one he wholly deserves. The criticism of his lacking performance will soften. The questions about his deteriorating skills will lessen. The speculation on his fading future will disappear. The soda stayed firmly in Mitch Kupchak’s hand. The Lakers’ general manager soon joked he had actually been nursing his third Rum and Coke. Did it reflect Kupchak’s sorrow over Kobe Bryant’s announcement on Sunday that he would retire following the 2015-16 season? Or did it convery Kupchak’s celebration on having clarity on Bryant’s ending? The answer is neither. Kupchak obviously wasn’t drinking. The Lakers’ general manager also offered pragmatism on the implications on Bryant retiring after the final year of his contract worth $25 million ends. Bryant had partly fueled that speculation both because of his star power and his insistence to leave his future open-ended. After playing only 35 games last season before needing surgery on his right shoulder, Bryant had publicly said he leaned toward retiring once his contract ended. But he said he “probably” would not know about his future until the 2015-16 season ended. With Bryant formalizing his decision sooner than expected, Kupchak reflected on the development in two ways. 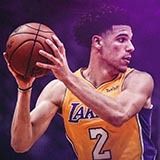 But it also gives the Lakers, mired in one of their worst seasons ever, a big gift and hope for a new era: Bryant's $25-million salary is coming off the books, allowing Lakers General Manager Mitch Kupchak to go shopping for some free agents with money in his pocket, raising hopes that the team can return to its former glory. In fact, the Lakers have only seven players under contract next season for a total of $26.3 million. NBA team payrolls will spike to about $90 million thanks to a lucrative new national TV deal, so it's hard not to envision Lakers executives smiling a bit despite the team's worst start since 1957. The Lakers are a pitiful 2-14 and almost certainly will miss the playoffs for the third consecutive season — a first for the proud franchise. They are about to start an eight-game trip, but the chances are improving that they'll keep their top-three-protected lottery pick next year because of their poor record. And there will be a potential shopping spree next July. The team must build around its younger starters, point guard D'Angelo Russell, 19, forward Julius Randle, 21, and shooting guard Jordan Clarkson, 23. The rebuilding plan also includes landing some key free agents. Whether any free agents take the Lakers' money is another story. They struck out on the last six big-name free agents they pursued: Dwight Howard, Pau Gasol, Carmelo Anthony, LaMarcus Aldridge, Greg Monroe and DeAndre Jordan. It's not clear what kept those stars away. Maybe they didn't want to play with an aging Bryant, or maybe they didn't want to join a team coming off so few victories. For whatever reason, even the Lakers' vastly successful tradition didn't bring them in. In his foreword to Caron Butler’s recently released memoir, Tuff Juice, Kobe Bryant revealed that over the course of his 20-year career with the Los Angeles Lakers, there have been just four teammates that he considers friends. Butler was one of them, as were Derek Fisher, Ronny Turiaf and, most notably, Pau Gasol. The Lakers’ midseason trade for Gasol in 2008 radically transformed their fortunes as a franchise, as well as Bryant’s own legacy. Gasol was the missing piece to a talented core—a second star and a perfect complementary player to Bryant. 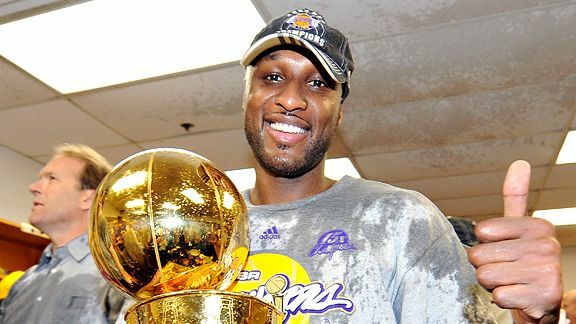 After the trade, the Lakers made the NBA Finals in 2008 and won back-to-back titles the following two seasons. Since Sunday evening, when Bryant made the announcement that the 2015-16 season will be his last, tributes and memories have poured in from all corners of the NBA—from former teammates, coaches, opponents and even commissioner Adam Silver. Like most people, Gasol had no heads-up before Bryant’s announcement on the Players’ Tribune. He found out with the rest of the world, but knowing Bryant as well as he did, the news didn’t come as much of a shock. When Kobe Bryant disusses his plans for post-retirement, basketball is rarely among them. Earlier this season he joked that he is uninterested in coaching because he doesn't "feel like dealing with divas." But how about a different role? Before his final game in his native Philadelphia, Bryant told reporters at Wells Fargo Center that it would be “an honor” to remain involved with the Lakers organization in some capacity. In a subsequent interview on Time Warner Cable SportsNet, Jeanie Buss said, “I think Kobe can do anything. If that’s something that interests then absolutely I would talk to him about it. Bryant’s comments came hours after Magic Johnson reportedly suggested during a news conference at Dodger Stadium that the 76ers should give Bryant an ownership stake. Ownership is not something for which Bryant “has had a burning desire to look into too much,” Bryant said. Curious that a lifelong legendary Laker would tell another lifelong legendary Laker to seek ownership stake in another franchise. Kobe Bryant suddenly has a good problem to have. It’s far less serious than the Lakers’ persistent losing, or Bryant’s endless shooting inaccuracy. Does Bryant have a preference on the Lakers retiring his No. 8 or No. 24 jersey? Well, it could happen soon. The Lakers have had conversations in the past on which of Bryant’s jersey numbers they will retire, and they plan to have more discussions on that issue, according to a team source. When the Lakers would retire Bryant’s jersey also remains undetermined. But that could happen as early as next season instead of waiting for the requisite five-year grace period before Bryant would enter the Hall as a first-ballot inductee, the team source added. The Lakers retired jerseys for Magic Johnson, Jerry West, Kareem-Abdul-Jabbar, Wilt Chamberlain, Elgin Baylor, Gail Goodrich, James Worthy and Jamaal Wilkes at varying times after they had already been inducted into the Naismith Memorial Basketball Hall of Fame. But the Lakers do not hold that honor as a requirement before retiring a jersey. For example, the Lakers retired Shaquille O’Neal’s No. 34 jersey on April, 2, 2013, though he does not become eligible for a Hall of Fame induction until 2017. You never know what Magic Johnson is going to say. But you always know he wants the Lakers to win. Badly. The minority owner of the Dodgers criticized one of the Lakers' owners Tuesday, and it wasn't the first time. "I'm going to say it again: I love Jim Buss. He should just be the owner, like his dad was just the owner," Johnson said. "Let's go back with facts, so I can back this up with facts: 27 wins a couple years ago, 21 wins last year. Three summers now, we haven't signed anybody. I am backing this up with facts. We haven't signed any superstar. 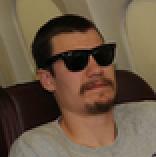 We've had cap space. We had cap space last summer. We're going to have more this summer." Jim Buss is one of six family members who inherited a majority share of the Lakers in 2013. He is also the team's vice president of basketball operations. Johnson, who led the Lakers to five championships as a player, was speaking after the Dodgers' introductory news conference for new Manager Dave Roberts. "You've got to get somebody to help [Buss] out," said Johnson, an unpaid Lakers vice president. "Just play your role. There's nothing wrong with being a great owner. Hey Magic, the worst thing Buss did was hire Byron. Byron was hired to placate Kobe (thanks Bard207 for the correction ). The Lakers knew it would be Kobe's final 2 seasons. They wanted a "yes man" coach for him - Enter Byron Scott, the TANK Commander. "You go as Kobe goes"
What about critizing Byron Scott, the worst coach the Lakers ever had? Who hired Jim though... and Mike Brown and MDA (although i think MDA is a good coach who got a raw deal). That's not on Magic as much as i don't like the Magic post playing career. "He may say it's not you, it's him.... but it's really you." It's possible at this point, he's indirectly saying that without hurting Byron's feelings. Even Worthy has begun to turn and he's still trying to handle his words carefully. So we gonna start with that crap again magic? Any comment on your boy? I thought Mitch was the help. In a way, Magic is criticizing Mitch as well by saying that. The Los Angeles Lakers may have hit a new season low with their loss to the Philadelphia 76ers, but they don't plan on making a head coaching change time any time soon, reports Sam Amick of USA TODAY Sports. Scott is viewed as an "innocent bystander" as Kobe Bryant struggles through his final season and it's "extremely unlikely" the Lakers make a head coaching switch midseason, according to an anonymous source that spoke with Amick. The Lakers sit at 2-15 on the season and are currently on a seven-game losing streak, hitting a new low as they opened an eight-game road trip. Amick points to there still being a chance the Lakers soften their stance on sticking with Scott should the losing streak get out of hand, but it appears the front office is essentially handing Scott a pardon for any results during a season that is very important to the start of their rebuilding process. While there's a never-say-never qualifier to the notion that coach Byron Scott could be replaced midseason, it appears for now that he won't be held responsible for either the dreadful record or the fruitless way in which Bryant continues to play. The coaching component, it should be noted, could always change if this losing streak (currently seven games) grew too big to bear. The strong sense, however, is that Scott is seen largely as an innocent bystander in Bryant's bon voyage campaign. Scott signed a four-year, $17 million deal in July 2014 to reunite with his former teammate, but the contract is only guaranteed through next season. what was the excuse for last year? And I love how it says they'd consider a coaching change if the losing streak becomes too big to bear. Uhhh. We're 2-15 and have lost 7 straight. It doesn't get significantly worse than that. Innocent bystander? That's the fans, who've been watching this SH*T every freaking night. Wow what a cop out. How about grow a set and take control of the situation. Literal kids in a figurative candy store. D'Angelo Russell may not have played a second in the Lakers close win over the Washington Wizards on Wednesday night, but the young point guard could not have sounded less bothered by that fact after the game. "I was a fan. Just to get to really witness it and see it in person." Russell said after the game, as captured by Serena Winters of Lakers Nation. " The second overall pick in the 2015 Draft was in awe of the effect Bryant had on the road crowd. "Man he makes it feel like it's a home environment," Russell said, a sentiment Jordan Clarkson shared with Mike Trudell when interviewed on Time Warner Cable Sportsnet before the game. "It's a little emotional, most of the time we're coming in here it's almost like a home game for us, these arenas are sold out, filled with Lakers fans." Clarkson said. "It makes you want to go out there and play much harder and hopefully get a win, but at the same time we have to forget about it and just go out and compete. We are doing this for him and also for the organization, just trying to get wins." It was an early duel between future Hall of Famers, as Kobe Bryant barely bested Dirk Nowitzki at Staples Center. Bryant erupted for 38 points on 15-of-28 shooting, while Nowitzki countered with 25 points and 11 rebounds, while the Lakers squeezed out a 99-97 victory. Shaquille O’Neal provided 25 points and 14 rebounds, but was also part of the reason for Dallas’ near-comeback, as he went just 5-of-19 at the free throw line. In fact, the Lakers led 83-71 midway through the fourth quarter when Dallas ran off 11 unanswered points. The Mavericks kept their deficit to one with 1:50 left, but L.A. never surrendered its advantage. From there, Bryant — who poured in 12 points in the final period — scored the Lakers’ next six points to hold off the Mavs. Dallas actually outshot the Lakers, 50.0 percent to 44.0, but L.A. enjoyed a 21-9 advantage in offensive rebounds. Bryant did more than just score, as he also provided 10 rebounds and six assists.